Liking things on Facebook has become commonplace for its 845M active users. If someone posts an interesting status update, YouTube video, link, or life event, you might be inclined to “Like” it. All of that activity is then sent back to Facebook and helps prioritize your relationships and the content you see on your Newsfeed. It’s a great system and the Like button has become iconic for the social networking giant. The problem with the Like button is that someone else has to take an action for you to be able to engage in this way. You can’t just “Like” something out of thin air, as a way to show that you care about someone or something for example. Cheers lowers the barrier to expressing love and appreciation, making it fun and easy to do something we all feel, but have never had a dedicated place to openly share before. Further, by creating such a space, it becomes safe to not only cheer the stuff we love, but increasingly the wonderful people in our lives as well. And when we do, those friends, teachers, heroes, and other loved ones, all in turn catch the Cheers bug and begin to share the love in their hearts too. What emerges is a truly beautiful reality: a living, growing chronicle of all the love and joy we’re surrounded by every day. In the same way that you pull your phone out and take a picture for Instagram, Cheers could become a highly addictive way of giving someone a shout out even if you don’t have the time to pick up the phone and call them. It might not be as “hippy” sounding as you think. 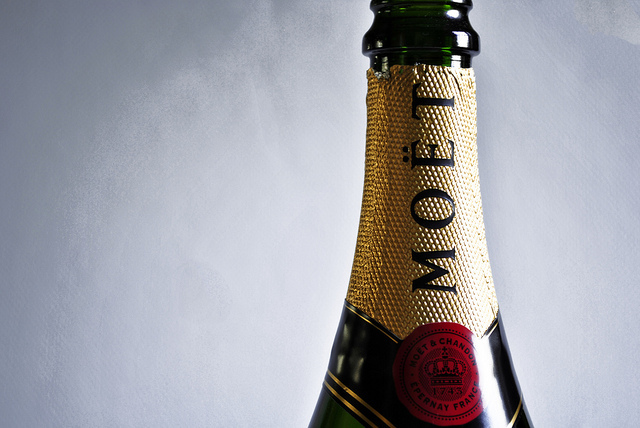 According to the Dictionary, “Cheers” is a way of saying thanks or a phrase commonly used in a drinking toast. With the app, you don’t have to share any content or think up anything funny to say, just give a shout out to any person, place, or thing. The great part about Cheers is that you don’t have to be at a venue to call it out, be in front of something in the moment to appreciate it, or even be near someone to say “thanks”. Of course, there are some fun gaming elements within the app, and the company refers to its point system as “Cheerfluence”. You get points when you post something and when people comment and “cheer on” your posts. It’s fun and not meant to be taken seriously. The app is beautifully designed and going through a stream of things that people care about is a nice way to spend an evening. 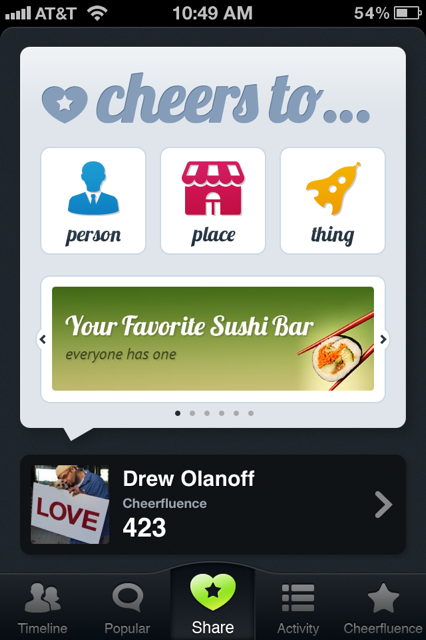 Honestly, it’s about time that there’s an app that rewards positivity and I think that Cheers does that perfectly. You don’t have to be an artist or photographer to get noticed, all you have to do is share what’s in your heart. Visit the Cheers site to get notified when the app is officially in the store and get ready to add all of the people and things that you’re thankful for.